I am convinced that now, not only are we getting our kids around town by bike, but we are setting them up for numerous wins in the mechanical bull riding contests in bars down the road. Yuba came out with a Rumble Strap. What's that? It's a rather simple, yet very clever idea that solves a problem we've been discussing, but doing nothing toward solving. Gotta love me some Facebook because one of my Fb friends is Travis of bike, noun, verb who posted photos of this sweet Yuba accessory that had previously been unknown to us. We need the Yuba for two passengers. With one passenger we are good with the Xtra Radish, but when we need to take out two fellows, or three if we are both riding, we rely on the Yuba Mundo. The front passenger has the stoker bars to grab onto, but the back passenger hasn't been so lucky. If his brother was feeling generous, he might get to hold on the front guy's shoulders or waist. Since that wasn't always the case (feeling such generosity), the back rider might grab the back of the longtail frame behind him with a hand or two. Truthfully, more often than not, our back passenger just held on with his thighs, keeping his hands in his pockets or sometimes waving them around when his mother wasn't yelling at him to stop. Of course, I was worried about how safe the back rider was. We always make our younger guy sit up front and continually nag the back rider to move his bum up on the seat to make sure his tail is not hanging over the longtail. I have to admit that while I've been pretty confident in my boys' ability to hold on, even with no hands and just a good thigh squeeze, I am always aware of how the no-hands-hold-on thing for the back passenger opened us up to yet more criticism by outsiders concerning how unsafe our choice to ride our sons by bike is. I know I should not care about this, but I am sensitive to it, so often when riding in busier parts of the city, I will say to the guys, "Well, at least make it look good, like you're holding onto something." And now they have a something to hold onto! I know there are also sorts of wonderful problem solvers out there that jerry-rig their cargo bikes in cool ways so both passengers are set up well, but we hadn't gotten that far. We are glad that Yuba did. And now, our back passenger has a strap to hold on to, attached to the frame of the bike so it is strong and secure, but small and soft enough that it won't get in the way of any non-kid cargo we may need to strap to the longtail while say, moving furniture or perhaps huge bags of chicken feed and screen doors (I kid you not). I didn't manage to get a shot of S doing the full rodeo bull riding thing-- one hand holding onto the Rumble Strap, the other hand up in the air while gleeful shouts of "Yee Haw!" emanated from his mouth-- but it was happening. Yee Haw! It's happening, folks. I see it and feel it coming on. The whispers are getting louder. Momentum is building. Two and a half ago I began my obsessive reading of family bike blogs, looking for information, for community. I drooled over family bike events chronicled on Portland, OR bike blogs, on Seattle-based ones. I researched bakfiets dealers and owners, emailing them directly, asking their advice. I couldn't find much East Coast presence, save one lovely, bakfiets-owning, blogging mama in Massachusetts. And then, two years ago, we bought our bakfiets. Had it shipped from Clever Cycles in PDX, feeling a bit guilty about all the gas it took to get it to us, but beyond excited by its arrival. We started riding. We started noticing bikes with kids' bike seats attached, and sometimes a bike trailer, even some tag-alongs. Then the two of us started jockeying over who got to ride the baks and who had to take the car. So we invested in an Xtracycle so we could both ferry kids by bike and leave the car parked for days and days. People stopped and asked about our cargo bikes. Friends bought a Madsen. Our local bike store became Madsen dealer. We watched an Xtra with two kids perched on the snapdeck go by our home. A year later, another set of friends bought a Joe Bike box bike. People were talking. Conversations about kids as cargo-on-bikes became more frequent. A family on a bright blue Yuba Mundo rode up to school. The boys grew bigger and heavier. The bakfiets could no longer hold three FullHands boys. Alternatives were researched. An orange Yuba Mundo joined the party. Friends got us in contact with another family researching cargo bikes and another orange Mundo appeared on the local streets. Last Saturday, we joined a local clean-up day. We arrived on two longtails. Another family rode up on theirs. A third family stopped us, sharing that they had just been at Devil's Gear researching cargo bikes and ran into one of our neighbors, now proud owners of a Big Dummy Xtra. On Sunday, at the farmer's market, a number of folks commented on our bikes, some asking for more details. We met another local Xtra-owning family. Later, at the annual Cherry Blossom Festival, there were few cherry blossoms (too cold!) but suddenly tons of bikes were blooming all around us. Finally, a friend met us at the Cherry Blossom Festival, enjoying a brief respite from caring for barfing kids. She had walked to Wooster Square and we invited her back to our house for some backyard hanging and beer drinking. Good thing for the two longtails as we had an extra seat! C was game and hopped on the back of the Yuba with one of the boys. When we reached our house, C gave the two longtails test rides and decided that an Xtracycle Radish just might be just what she is looking for. Later that evening, I took her home. For a brief moment, I was tempted to hop the car as it had been a long day and there would be a hill involved. But we decided to keep it a truly car-free weekend so set off via Yuba once again and it was fun. And just this week, another local family who found this blog reached out to Facebook friends looking for us-- they did!-- to ask about our cargo bikes as they researched possibilities for their family of five. Yes, momentum is building. 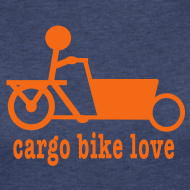 As more local families discover cargo bike options, as more parents transport their kids on two-wheels (and three! ), as others witness this and think they too may give family bike riding a try someday, we all will benefit. And yes, looks like it time for some serious bikey family fun event here our city. you must go here and watch this now. Last week I participated in New Haven's Critical Mass for the first time. I don't have a firm stance about how I feel about Critical Mass. I can understand both sides of the debate concerning cyclists taking over the street en mass. Truthfully, though, I never rode a Crit Mass before because frankly, 5:30pm on a Friday is a *really* bad time to be anywhere but hanging at home with my three sons, who, tired from the week, just need downtime in the solitude of our own home. But last Friday, I had to ride. P stayed at home with the boys while I bundled up and headed down to New Haven Green. I was looking for connection and community. I needed some place to gather with others who also were experiencing profound heartbreak. And riding with many people who cared about bikes throughout our city seemed like a fitting tribute to a sweet young man who, too, loved bikes and had lost his life the night before in a horrible act of violence. There are few stores one ever wants to go into towing three little boys. I shiver thinking about grocery shopping with the guys and, malls-- well, I don't do malls by myself (hate 'em!) -- but the thought of entering such a shopping 'mecca' with my boys makes my head throb. But bike shops, well, bike shops are different-- especially this one. From the day we decided to start riding bikes, The Devil's Gear has been a big part of our journey. We spend a lot of time there. All of us. And there is something freeing about being in a bike shop with little boys because it is one place that the boys can look and touch and ask their numerous questions. And the folks at The Devil's Gear have been nothing but kind and open and patient with us. And Mitch was always one of these guys. Extremely enthusiastic, he cheered on our family biking adventures, helping us out with our cargo bikes, and last summer, fitting the twins with their first new bikes ever (as they had started with wonderful hand-me-downs). He was helpful and kind and happily engaged with the boys as they asked how this thing or that thing worked and he never rolled his eyes or gave a pointed look as the guys discovered yet-another cool bike horn or bell they needed to test out-- multiple times. Last summer, we stopped by the shop on our way home from a cycling celebration. Mitch loved that we had turned the bakfiets into a pirate ship and asked if he could take a photo, mailing to others, calling us 'the coolest family in New Haven.' OK, so maybe his judgment on that one was a bit off, but this incredible positivity radiated out from him in all interactions. And when we gathered for his memorial service outside the bike shop last Sunday night, we heard stories over and over about his positivity, enthusiasm, and kindness, not only from all the bike folks who knew him, but a huge community connected with the underground music scene he belonged to as well. This week P went to pick up the Yuba from The Devil's Gear, having dropped it off for a spring tune-up. When I got home later, I glanced down at the service ticket on the kitchen counter. There, written in all capital letters, was Mitch's name and his description of our bike ("LONGTAIL!!!" enthusiastic even in writing). And I smiled. And then I cried. I cried as I have done many times this week. 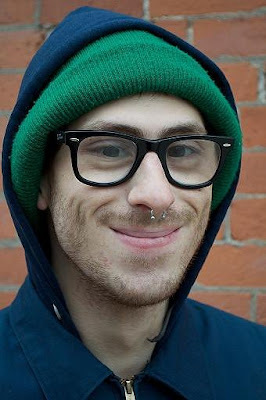 I cry for Mitch's family and Mitch's friends and his co-workers at the bike shop, and I cry for the rest of us because he was someone the world needs. And I think of how gun violence has taken so many lives, and how it has forever changed Mitch's family and friends and my family as well, taking some innocence away from my sons. But when I feel the freedom I experience riding our bikes and the joy watching my boys ride theirs, I will think of Mitch and I will work on sending out positivity into the world as he had done. His life made a profound impact. And if my sons grew up to be as kind as Mitchell Dubey was, I would be most proud.